Nov 28, 2007 — I have long known of Ken Edwards’ famous pottery, produced in Tonala, near Guadalajara. On a long trip we took all over Mexico in 1979, we visited his factory and I bought a mug which was my favorite for a long time, even after I dropped it and it lost its handle. Last year, Kelly and I went to the Ken Edwards store in Tonala, about an hour away from our Lake Chapala home, and bought ourselves a lovely set of of dishes, mostly seconds and very reasonably priced. I’ve enjoyed them tremendously. That link takes you to my blog entry about visiting there last year. At that time, we learned that Ken himself was mostly living and doing pottery in Guatemala, by Lake Atitlan. Recently I was emailing with a man who had some questions about getting set up with a website. He mentioned that he was Ken’s nephew, and that Ken was in Tonala for a few days. This fellow, Peter, thought that we and Ken had a lot in common and would we like to meet him? I said sure, and so Ken and I exchanged a few emails. It was obvious that Ken had a far-ranging mind… He was fascinated by Kelly’s earthbag building techniques, for one thing! So yesterday we found Ken at his apartment next door to the Tonala factory. He sold the business a while back, keeping just a small percentage ownership, but he still comes to Tonala regularly and is involved with it. We settled down to chat a while. I hadn’t really known what to expect, but Ken Edwards is a fascinating raconteur, and that far-ranging mind goes everywhere! At 82, Ken has lost none of his marbles… he has more on the ball than most people of any age. That’s inspiring to us as we look ahead. I knew that he had first come to Mexico in 1954, and I asked him to fill in some of his history with my little voice recorder going. You can hear part of that via the link at the bottom of this blog entry. I notice now, playing the mp3 file back, one spot where my editing of the file last night makes for some confusion. Where he’s talking about working with Jorge Wilmot in doing pottery, I cut out some bits and suddenly he’s saying “We came down,” and I ask if it’s Edwards James. James was an eccentric Englishman whom Ken had known in Malibu, famous for later building the surreal Las Pozas in the tropical jungle of Mexico… that link takes you to my photo page from several years ago, when Kelly and I went there and were enchanted by the place. I digress… but that’s the way the conversation went! This selection is about 11 minutes long and talks about teaching English as a second language, Bohemians, and more, with a few bits about pottery. Now and then you hear Kelly’s voice too. Ken went on to tell us about the years in Tonala an d Tlaquepaque, his life with his wife Jackie who is mentioned in the conversation. (She died 12 years ago, and her ashes are in this pot, which was her favorite.) His pottery became world famous. This seemed to matter less to him than the adventure of whatever is next. I was intrigued by how technical his mind is… besides the artistic side, he was always coming up with new ways to do things in the factory. Ken and Kelly talked about earthbag building and catenary arches. Ken was astonished to learn that I’m the daughter of Cordwainer Smith, as he loves science fiction. The time sped by. I asked him if he had any advice for staying so sharp mentally. He commented that in his case, he always has a new project going. Eventually, we went next door to see the factory, and I will blog about that shortly. Now here’s the link to the mp3 file of the first 11 and a half minutes of our conversation… It will probably open to play in the same window or tab you are now in. WOW! Rosana, you sure do work fast! You had this page up 15 hours after you and Kelly left here. Are all Gringas like that? The page is Great! And I was horrified to hear my rusty voice saying all those dumb things. Let me take some time to absorb all of this. Joel arrived late last night and he is all excited about you guys and your Blog! He wants to know if you can help him make a blog for KE. I’m interested in the earthbag homes. DO you also have an earthbag house in Mexico? Our home in Mexico is an old brick one that Kelly has used earthbags just to insulate the large front porch roof which we are turning into a sunroom. 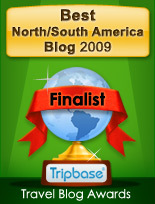 I have just discovered your blog today as a result of comments on Mexico 501. I commented also on living in Mexico. I am SO happy to know that Ken Edwards is still around – I knew him back in the 80’s and early 90’s when I was exporting out of Mexico for restaurants and hotels in the US I was designing and building. THEN I was in Guatemala two years ago in a VERY remote village and saw the words KEN EDWARDS and was so surprised. I’m glad to know I wasn’t hallucinating. Add to that that I’m taking a tour group to Xilitla and the Sierra Gorda to see Edward James Las Pozas in August and it adds up to the fact we have some things in common. I’ll be reading your blog regularly now…………I’m at www.babsofsanmiguel.blogspot.com if you’re interested. “I’ve forgotten the details of what was unique about this particular kiln” .. Prior to Ken Edwards setting up shop in Mexico most Mexican pottery contained lead. Ken Edwards received an award from Mexico’s President for teaching Mexican potters how to increase the temperature of their kilns to burn the lead out of the glaze used to decorate the pottery making it safe to eat off of or drink out of. That may be the answer to your question. In the early 70’s, while on vacation in Mexico I picked out my dinner plates and other pieces of decorative pottery from the factory in Tonala and cherish them to this day. Oh my gosh, I am absolutely thrilled to find this blog and these posts, but especially to hear the interview with Ken Edwards! This man is nothing short of a living legend. We lived in Guadalajara 1974 – 1977 while my husband was in medical at UAG. With the devaluation of the peso in 1975 we were able to go to the factory in Tonala and purchase a set of dishes, all seconds and we cherished them for many years. As starving students it was indeed a luxury to be able to buy what we did. We returned in 1987 and bought another entire set of dishes which we still use today. We had arrived in Tonala on a Sunday and the factory was closed. Jackie met us at the factory and let us in to select our dishes. I’ll never forget it. Albondiga was a bit testy that day and bit our son, but she was getting older and not about to get friendly with some nine year old kid. My husband and I have listened to the interview again and feel honored to hear words from the master. We are now retired and heading to Guanajuato with the intention of buying a set of Mayolica style dishes . . . . so far I have not seen anything that is as beautiful as what we bought from Ken Edwards, Tonala. I just found your blog after looking up Ken Edwards. I have lots of dishes and pots and platters and cups and vases that my parents & I bought when they lived in Santa Anita (outside of Guadalajara) from 1973 to 1980. I thought the factory we went to was inTlaquepacque & everyone always referred to it as the Palomar Factory, not Ken Edwards. Is that correct or was there another in Tonala? Was it Palomar first and then taken over by Edwards? I just inherited more wonderful pieces (unique sharpes that I don't see listed on other sites) from the 70's and wanted to know if the pieces from that era are lead free. Can you answer that? I was just in Atitlan and sorry I didn't know Edwards was there. I have loved Palomar/Edwards pottery for years & have lugged it home in cardboard, rope bound, boxes many times. Jan, I'm sorry that I don't know the answers to any of your questions! I remember Ken reminiscing about the old days, and I believe that Palomar is an outgrowth of his work. Not sure though. I also don't know about the lead-free situation, but some determined googling or emailing to whatever addresses you can find should get you the answer to that. If it does, please come back and post it here! Sarah, I met Ken when we lived in Mexico and spent time with him 2 or 3 times. I don’t have a clue about how to reach El Palomar, but as a librarian I know that lots of things are buried in the later pages of Google searches. If I were you I would dig around there and also make phone calls to cmpanies in the US that carry the El Palomar line, and just ask them how they get it. Best wishes! I’m sorry. Peter, I checked my files on my webhost and it’s not there. if I have it anywhere, it’s on an old computer a thousand miles away from me. Never made a transcription. In a very brief nutshell, he talked about going to Mexico as a young man and developing stoneware there in the style he’s famous for, with a Mexican friend who I think had the first name of Jorge. He lived and worked in the Guadalajara area for many years, but at the time I met him, which must be almost 10 years ago, his factory was being run by others and he was living most of the time in Guatemala, by Lake Atitlan, and helping some of the local people there to create pottery, I think also stoneware. He must have been in his 80s when I met him, and he was filled with zest and enthusiasm. Truly a great man. mentions the Jorge I remembered, it was Wilmot.Says Ken moved to Tonala, outside of Guadalajara, in 1954, which rings true to me. the top 2 photos are from my website but I do’t recall if they are still there. If you keep going on that search or one like it, you may find more. That must be where we got our dishes… all seconds. We picked through carefully and got a great set, still using them every day. If you are in the area, I imagine you could go to Tonala and ask. Even without Spanish, if you went into craft stores and said “Ken Edwards?” that could do it, with maybe a misstep or two because of the Mexican desire to be helpful even when they don’t know! and I’m sure they would know. thanks for the great info on ken edwards. we visited mexico years ago but never hit on ken or tonala though we had developed a taste for certain hand made pottery and stoneware.several years ago we were driving in northern virginia and spotted a yard sale just closing up end of the day.two young mexican ladies with a 2’x 2’carton full of old stoneware all decorated with birds & flowers,signed “KE”. i asked “how much for all of it?” reply “$5.” !!! thus our ken edwards story began. We use our KE pottery every day, Jane! Hi, In May 2017 I was at a garage sale in California and found some KE dishware! I found it to be a sign as my mother was born in Juanacatalan, a small pueblo near Tonala, Jalisco and she had just passed away in April 2017. Thanks for sharing that story, Gab. Lovely! Hi. I took a trip to Mexico in 1973with my parents. I was just recently married at the time and my husband was on a ship off the coast of Vietnam. We found the market at Tlaquepaque and my father bought a set of KE stoneware for me – mostly seconds of course. I still have most of it and absolutely adore it. Just recently I found La Fuente as a source to get the el Palomar stoneware but it does not have the KE painted on the bottom. I realize it is not the actual Ken Edwards stuff but should I worry if it is lead free. That was supposed to be the advantage of his stuff is that he used a lead free glaze. I do love that stoneware. It is truly “my stoneware” and a part of my heart. I always delight in the birds, the color and the joy of it. We have a lot of seconds also, Lucie, which we chose very carefully at the factory in Tonala when we lived there. Love them too! So I wouldn’t worry about lead. Actually when we lived in Mexico from 2005 to 2010, I remember hearing that most pottery was lead-free by then. So nice to hear commentaries about Ken. We spent many hours at his home way back when Jackie was still alive and an accomplished potter herself. Ken was just as you say very entertaining and stimulating. Other than loving the pottery and still using it after almost 50 years, my husband Peter and I also created KE ceramic jewellery line of products for several years that sold all thru the U.S. Those were the days when most costume jewellery was moulded plastic, thru Ken’s ceramic we introduced a whole new world of real ceramic to the public. The last time I heard anything, Ken was headed to Guatamala to teach pottery in that area. Enjoyed your comments, Maureen. The jewelry sounds marvelous. This blog post was written 10 years ago, in 2007, and at that time he *was* living in Guatemala near Lake Atitlan and he was teaching pottery in a village that had excellent clay for stoneware. He came to Mexico quite often, and that is when we happened to meet him. We kept in erratic touch by email for a few years, but I haven’t heard from him for some time now. I spent the morning with Ken Edwards in his home in San Antonio Palopo. He is now 92 years old and, while his hearing is failing, he remains sharp as a tack! My wife and I stop by from time to time with little treats. He doesn’t really discuss his pottery very much. Today for example, he spent much of his time recounting the importance of Dr. Adkins and his contributions to healthy living. He is surrounded by his memories, which he assures me are not linear. He mentions his wife, his years in Mexico, old friends from WWII, and his current assessment of politics in Guatemala (and the U.S.). He has plenty of opinions to share about Trump! Today he told me that his memories are more like the balls on a billiard table, each one holding details from distinct periods of his life but in no particular order. He told me that he remembers somethings from his childhood clearly, but recent occurrences, less so. First time in Guatemala. Retired opera singer and author (Anastasia). Spent time in Guadalajara and Tonola in 2012, but discovered Ken’s beautiful work in a gallery in Puerto Vallarta in 2016. Headed to Lake Atitlan in 2 weeks. Even when I was 20 (now 70), I loved spending time and collecting the wisdom of the elders. Would love to meet Ken. Do you think he would appreciate a visit from strangers? Can you give me directions? I think we can get a boat from Panajachel. Sorry but I don’t know where he lives. If you ask around when you are there, someone will likely know. Tell him hello if you do meet up. As for whether he would appreciate a visit I don’t know that either! Found my way to this blog after purchasing two Ken Edwards vases last week at an antique store in Woodbury, Georgia. The shop owner had them displayed with a few other pieces marked KE. Not knowing anything about Mr. Edwards, I googled him. Thank you all for these posts. I am a retired librarian and visual arts organization director — this was a treasure trove of information. I will look for more of his work. Thanks for your coments, Betsy. I’m also a former librarian! though I keep thinking that if he really made all the pieces attributed to him, he would not be 92 but 170 and still bent over that kiln! I have collected his ceramics for a long time and have started to sell them off on ebay, as we are running out of room!Do you find there are “impostors” out there, signing their work with his initials? Some of the stuff is easily recognizable, and some of it is all wrong – shape and painting! Stephanie. What is the name of your ebay page? Liza, she may not see your question as this isn’t set up like a forum. Suggest you go to eBay and try her name and also try ken edwards pottery. I am happily reading through this blog finding it fascinating and fun. Ken Edwards is my Godfather, but other than the relationship as an infant, I have never met him in person. My parents were close friends of his, my father is also an artist living in Guadalajara at the time, and spoke of him often. Our house has been filled with his pottery as long as I remember. I use Ken Edwards plates, bowls, and cups as my everyday dinnerware and think of him every day. I would love the chance to meet him now as an adult, but have no idea where he is or if he would even remember me and my parents. My parents’ house has a kitchen filled with custom KE tiles across the kitchen as a backsplash on every wall. It is really unique and lovely. I’m so happy to find this info!! I had no knowledge of Tonalá pottery other than I saw it in an upscale shop in my little town in Iowa. I loved it and registered it for my wedding dishes in 1978! I did not even know it was an area or town…I thought it was simply a brand or pattern!! I was given another set from the 80s when a friend saw mine and was moving. I now have a rather large collection with many serving and decorative pieces! I am relieved to know it has no Lead. I was concerned and stopped using it with heat many years ago. Some of it is marked Tonalá KE and some is El Palomar KE. Some have the KE circled and some are not. I only have a couple pieces with no KE. Is there any value or age difference In the markings? Is there one that shows that Ken made them? Thank you for your shared love of Tonalá!!! What an interesting comment! Last I knew, a few years back, Ken was still alive and living near Lake Atitlan in Guatemala. I don’t know the answers to all your questions but I did see workmen putting the KE on pieces they were completing. Ken wasn’t doing it.